The Isle of Wight Festival 2017 will be 8th - 11th June 2017. Here's our guide to lineup rumours and ticket news. Please do leave a post at the bottom of the page if you hear of any rumours for the Isle of Wight Festival 2017. How much are tickets for Isle of Wight Festival 2017? ​There is also a deposit scheme, where you pay about £30 - £40 now and the rest later. They were offering day tickets for £60 until December 31st 2016. I can't see any mention of them on the booking website now, but I'll update if I hear otherwise. Alright, we need to admit that we get it pretty wrong in 2016 and 2017 with our lineup rumours. However, we did have some more luck in 2015 and 2014 with our predictions! We've removed the list of who we wrongly predicted would headline, to avoid confusing people. We don't currently have any more names of who else we think might play in 2017. What's the cheapest way to get to the Isle of Wight Festival 2017? The earlier you book ferry travel, the cheaper it will be. Expect to pay about £15 - £25 for a foot passenger return ticket, or £80 to £150 (or more) for a car including up to 7 passengers. 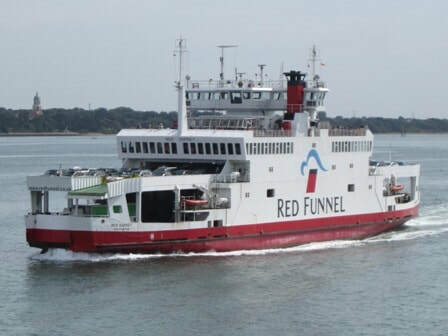 You can get 10% off car ferry travel with Red Funnel if you use this exclusive booking widget. For more advice see our guide to ferry travel. Is there any accommodation nearby (apart from camping)? When is the Isle of Wight Festival 2017? Dates for Isle of Wight Festival are June 8th - 11th 2017. Can under 18s attend the Isle of Wight Festival without an adult? Do children get in free? Teenagers aged between 13 and 17 as at 8 June 2017 but must be accompanied by at least 1 responsible Adult per 5 Teenagers. Unaccompanied Teenagers will be refused entry to the Festival. Adults are reminded that there are areas of the Venue, especially immediately in front of the stage and some bands or acts that may be inappropriate and may contain adult content. Any Adult is responsible entirely for the safety and welfare of any Teenager in its party. Please ensure that all Teenagers carry ID with proof of age. Failure to provide such ID may result in entry being refused or the Teenager being asked to leave the Venue. Can my band play at Isle of Wight Festival 2017? Sorry, this is nothing to do with us. 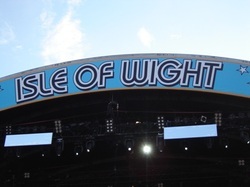 Isle of Wight Guru is an independent site which has no official link to the Isle of Wight Festival. In previous years there have been Battle of the Band competitions held by the organisers. 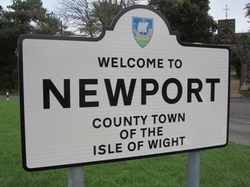 Should I go to the Isle of Wight Festival? Oooh, good question, even if I did write it myself. The Isle of Wight Festival is a great festival, in my opinion. A few years ago it was very focused around the main stage and big top, but in more recent years I would say it has had more of a wider festival feel with extra little things to see and do. Feel free to comment at the bottom of the page if you agree/disagree. I've always found it to be a friendly festival which is popular with families, probably partly because younger children get in free. I don't want to badmouth other festivals, but it feels safer to me than one big festival I went to up north (just my gut feeling, I've not compared crime stats, but someone did wee on my tent). You've got to pay for the ferry obviously, but it is not much if split between a car full of people or if you travel as a foot passenger on the car ferry (£15-£20). The early bird offer has been extended from December 23rd until December 31st at midnight. I suspect the full price tickets will be an extra £20 or maybe a bit more. (Click here to buy at the discounted price). DJ David Guetta and Run DMC are headlining Friday night. Also playing are George Ezra, Bastille, Rag’n’Bone Man and Jack Savoretti. We also know that the price will go soon, as the early bird price is only valid until December 23rd. Another headliner...Rod Stewart is headlining Sunday night at Isle of Wight Festival 2017. Fits in nicely with other Sunday night headliners through the years who have often been 'heritage' acts. John Giddings invited The Sherlocks to play at Isle of Wight Festival 2017 on Twitter, and they said yes. They aren't on the official line up list yet, but it sounds likely. A few updates on which of the rumoured headliners for Isle of Wight Festival 2017 are out of the running - mostly thanks to IOWfestivalsfansite which has done lots of digging around. Phil Collins concert in London has been described as 'his only UK festival gig' of this year, so that would mean he can't play the Isle of Wight Festival 2017 as well. Green Day looks unlikely as they are playing a French festival on the Sunday. I can't see them as second on the bill on Saturday, and in previous years Friday night has mostly been dance acts. Friday is not impossible if they are touring in Europe at the time, but probably unlikely. IOWfestivalsfansite also reckons that the following WON'T play - Coldplay (dismissed by John Giddings in a forum apparently), Guns n' Roses (John Giddings said on Facebook that they don't do festivals, although I did see them at a festival many moons ago), Foo Fighters, Depeche Mode, The Kinks, Beyonce, Rihanna. I suspect they may be right, but I'm inclined to wait until there is a definite clash before ruling someone out. Their predictions for who could play are Gorillaz, Bros and Tom Chaplin (from Keane). Hooray, tickets are now on sale and there's an early bird scheme, so you can get the weekend for £175, which is what the full price tickets cost way back in 2011. Much excitement too at the announcement of Arcade Fire as headliners for Saturday night, which will be their first Isle of Wight Festival appearance. Tickets will go on sale on November 7th at 9am. A couple of other names were added to the rumours list - Phil Collins and The Stone Roses. They were names mentioned in an article in The Sun, although to be honest, most of The Sun's article was repeating content from this page so we risk creating a loop of unfounded rumours. Not a major update, but Isle of Wight Radio reported that the reasons that tickets haven't gone on sale yet was because '“sensitive negotiations” were underway, but did not reveal more details about what they might be about'. Thanks to this tweeter who spotted some comments in the Isle of Wight County Press. I've not seem the article myself but apparently John Giddings said he would like to book Oasis, Green Day, The Kinks, Foo Fighters and Coldplay. How about a five day Festival in 2017?! @IsleofWightGuru @JohnGiddings01 said that he would like to book Oasis, Green Day and The Kinks in the iwcp. Also Foo Fighters and Coldplay. OK, so a year in advance we don't have a huge amount to say about Isle of Wight Festival 2017. However, there was an NME article quoting Loaded which said Guns 'n Roses would play Isle of Wight Festival 2017. We can also dig out a few interviews and comments made by John Giddings where he has mentioned bands that he would like to book at future festivals. That's good enough to start off a rumour isn't it? Anyway, back in 2014 he mentioned Fleetwood Mac and Blur (who subsequently played Isle of Wight Festival 2015). He also said he would love to get Oasis to reform and perform, so we'll consider that a rumour. "I still want Blur, Fleetwood Mac, Prince. I'd still love Coldplay, the Foo Fighters or Muse to come back because they were so good." So...Blur and Fleetwood Mac subsequently appeared. Prince died in 2016 obviously. Foo Fighters, Muse and Coldplay still seem plausible. Finally, in the interview with The Price is Wight (below) just before the Isle of Wight Festival 2015, John Giddings dropped a number of names including Beyonce, Rihanna and Ed Sheeran. Who would you like to see at the Isle of Wight Festival 2017?